In this chapter, the authors discuss two important trends in modern software engineering (SE) regarding the utilization of knowledge management (KM) and information retrieval (IR). Software engineering is a discipline in which knowledge and experience, acquired in the course of many years, play a fundamental role. For software development organizations, the main assets are not manufacturing plants, buildings, and machines, but the knowledge held by their employees. Software engineering has long recognized the need for managing knowledge and that the SE community could learn much from the KM community. 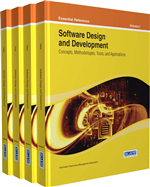 The authors introduce the fundamental concepts of KM theory and practice and mainly discuss the aspects of knowledge management that are valuable to software development organizations and how a KM system for such an organization can be implemented. In addition to knowledge management, information retrieval (IR) also plays a crucial role in SE. IR is a study of how to efficiently and effectively retrieve a required piece of information from a large corpus of storage entities such as documents. As software development organizations grow larger and have to deal with larger numbers (probably millions) of documents of various types, IR becomes an essential tool for retrieving any piece of information that a software developer wants within a short time. IR can be used both as a general-purpose tool to improve the productivity of developers or as an enabler tool to facilitate a KM system. Knowledge management is fundamentally corporate intellectual assets to improve the organization’s effectiveness, as well as its business opportunity enhancement. Key to knowledge management is capturing tacit knowledge for the tangible benefits for the organization. The aim of knowledge management is to continuously improve an organization’s performance in which sharing, creating, assimilating, disseminating, and applying knowledge throughout the organization. Knowledge management is a continuous process to understand the organization’s knowledge needs, the location of the knowledge, and how to improve the knowledge.